If you love to be in the water and explore the deep seas, make sure you scuba dive when you are in Bermuda. If you are an expert or a beginner it doesn't matter. Find the best scuba diving places in Bermuda to go right here! A lot of people are curious or would like to unlock the mystery of the famous story of the Bermuda Triangle. If you're one of them, here's your chance! Be captivated with this exciting experience in Triangle Diving. An underwater fun adventure you surely don't want to miss! From famous shipwrecks to thousands of underwater species, you'll definitely find a magnificent picture of the underwater world! With affordable packages, packed with whole safety measures, fun and adventure, this scuba diving experience in Bermuda is perfectly fit for professional divers, family and group of friends who want to taste a different extreme excitement. You will surely say every cent is worth it! 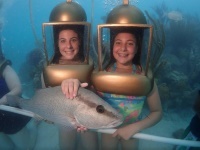 A priceless experience that you won't just leave underwater. 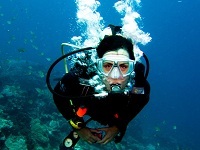 Dive Bermuda is the largest scuba diving company in Bermuda. It also can be the best destination when searching for a well experienced diving company. This company always tries to provide amazing and safe fun under water. It offers six different kinds of membership and they also offer many discounts for members. In finding the most famous diving company, the Dive Bermuda can be the perfect one. So, to get an unforgettable diving experience please feel free to contact them. Blue Water Divers and Watersports is the oldest as well as the largest scuba diving center in Bermuda. It has organized the most accessible venue in the Western Hemisphere for scuba diving. It also arranges night diving for divers with their own torches from Elbow Beach. This company can be the best destination if searching for the most experienced company providing a scuba diving opportunity. If you want to have fun with a great adventure under the water, please visit the company, Blue Water Divers and Watersports. Tucker's Point is one of the largest scuba diving companies in Bermuda. They have been providing a safe scuba diving opportunity to customers for fifty years. 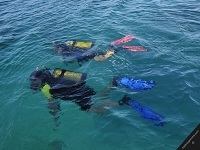 It arranges scuba diving at many historical places in Bermuda. This company also has all equipment needed for scuba diving. Scuba diving can be the greatest fun for people who love fun and adventure. Tucker's Point always gives the most priority to the safety issues. It works to provide safe fun and adventure. So, if you want to enjoy the environment under water, Tucker's Point can be the perfect choice. 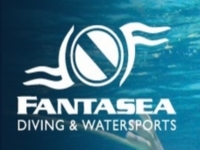 Fantasea Diving and Watersports is the largest scuba diving center in Bermuda. It is also the only five star diving center in Bermuda. It has been providing scuba diving opportunities for divers for over twenty years. 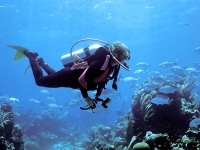 It offers so many adventurous scuba diving opportunities with certified divers. If you love to have fun with great adventure, Fantasea Diving and Watersports can be the perfect place for you. It will arrange an amazing scuba diving trip for you which will give you an unforgettable experience. Bermuda Sub Aqua Club is the national club for scuba diving in Bermuda. 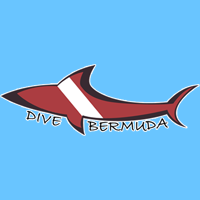 It is also the largest scuba diving club in Bermuda. It arranges a lot of scuba diving opportunities for existing members. This club also provides a unique opportunity to learn scuba diving from the certified divers of this club. Gradually it teaches diving so that all new divers can learn every step properly. 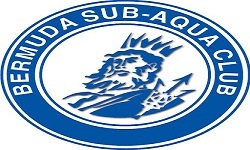 If you want to learn scuba diving with professional and certified divers, please come and join Bermuda Sub Aqua Club.